The next generation of identification will be through voice - smart homes, voice assistants, and smart cars are the vision for the future. Pindrop’s mission is to provide identity, security and trust for each and every voice interaction. As one of the most trusted voice anti-fraud and authentication providers for the largest organizations across the globe, Pindrop’s patented deep voice bio engine is charging the path for a more secure conversational economy. Pindrop has been selected by the world’s largest financial institutions, insurers, brokerages and retailers, detecting over 80% of fraud, even for attackers never seen before. Pindrop’s solutions are allowing customers to reduce call time and improve their customers’ experience even while reducing fraud losses. 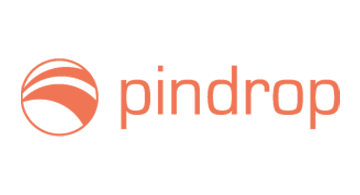 Pindrop was founded in 2011 and is venture backed by Andreessen Horowitz, Citi Ventures, Felicis Ventures, Google Capital, GV and IVP. In total, Pindrop has raised $122 million.